May I call you that? Are you comfortable operating from a space of Mrs., a dear Mrs.? In increments, I have come to the point where I must flee to your psyche. I know this is problematic because you have not given me a map to get there, but I cannot read maps now anyhow. I won’t miss anything. I promise. Yet, I am prepared for when we fail, how we fail and when we cannot be just a little more and. While I know that with each body in this space, we lose a little air, but do not fear, I have protection. Sir left it for me in the form of a jacket or cloak, I cannot clearly remember, but it blankets us, brightens our colors, and it is precious. With this in mind, let us go there, to this pivot of mirage. First, know the difference between grief and lamentation or don’t. Next, give up on the notion that you can emit time. Learn, to spell Hannah backwards, and be prepared for the sentiment that words go inside books to die. Now that we have established some ground rules, I feel comfortable moving forward. Do you? “I had a flash-back to my mother leaving for work in the morning when/ I was still a little girl, and she would always say to me, kiss me like a fool.” I know it is too depressing to put this grief on you over and over again. I know that it gets difficult when a tear is confused and won’t exit the corner of your eye, but I want us to focus on the migration. That migration of death; not through a grandfather clock, but rather a migration through that little whistle, that little stroke of air that sounds between the teeth and tongue. If we are to get there, we need to be cancerous. “The cancer. It / doesn’t care where or how it started, and it doesn’t care where or how / it’s going wherever it’s going, but it knows it will get there.” Sir, would have wanted it this way. This cancer does not distinguish between local and foreign bodies, so please be prepared. Be prepared for this distinction. Be prepared to be a little more and, and we will be better off. 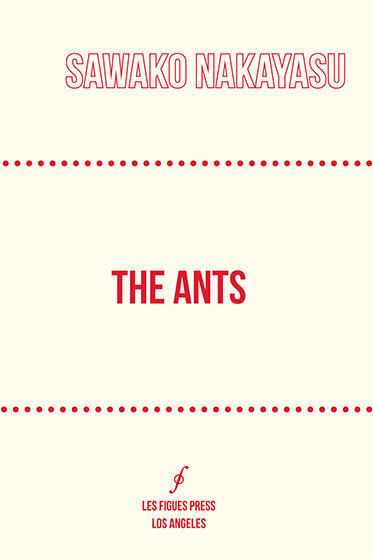 To read The Ants by Sawako Nakayasu, begin by buying or making Chinese food (noodles or rice, beef, chicken, tofu, or veggies, that is your choice) and a hamburger. You will also want to acquire a timer of some sort and a metronome. Once you have both Chinese food and a hamburger, proceed to dump the purchased or made food onto the ground of your front porch, back porch, balcony, garage floor, kitchen floor, bathroom tiles, bedroom carpet, the grass of your yard, or the strip of grass implanted in the sidewalk outside your apartment. Dump the food anywhere you will walk past at least twice daily. It is preferable that this place will not be disturbed by other humans, or creatures or objects. Once you have chosen an appropriate spot and dumped the food, wait. Wait for the ants to come to you, or rather, to your humble offering. When the ants begin their steady invasion, lay down on the ground near the food you have dumped. You can lay on your back or on your stomach or on your side, but make sure to open the pages of The Ants and extend the book towards the offering on the ground. Begin the metronome. Watch closely as the ants approach your offering. Take note of their strong legs, and swiveling antennae. Reach out and turn the pages of the book slowly and with great caution. This will allow time and space for the ants to intermingle with their literary counterpart. Make special note of if the ants are marching with or against the rhythm. Try alternating rhythms with the metronome. Once the ants are comfortable inside The Ants, turn off the metronome (this step is optional, you can also read to its beat, pounding out a syncopation with the book’s spine each time you turn a page) and begin the timer. You will want to record, as you go along, how long it takes each ant to eventually exit the pages of the book. Do not put the book down at any point until all the ants have clamored out of and off of The Ants. Keep reading while the ants crawl over your fingers and palms and forearms, even after they’ve traversed up to your elbows and shoulders. When you do put the book down, be warned. (There are side-effects. You may find yourself wanting to cover yourself in oil paint, stomp in a freshly calmed puddle, bake a carrot cake, buy an analogue wrist-watch, measure time in apple-speed, walk the Great Wall of China, or super-glue this book to one of your palms.) It is likely that Nakayasu’s rhythmic little soldier words will keep marching through your head for at least as long as it takes to stop feeling the ghost steps of the ants on your skin. 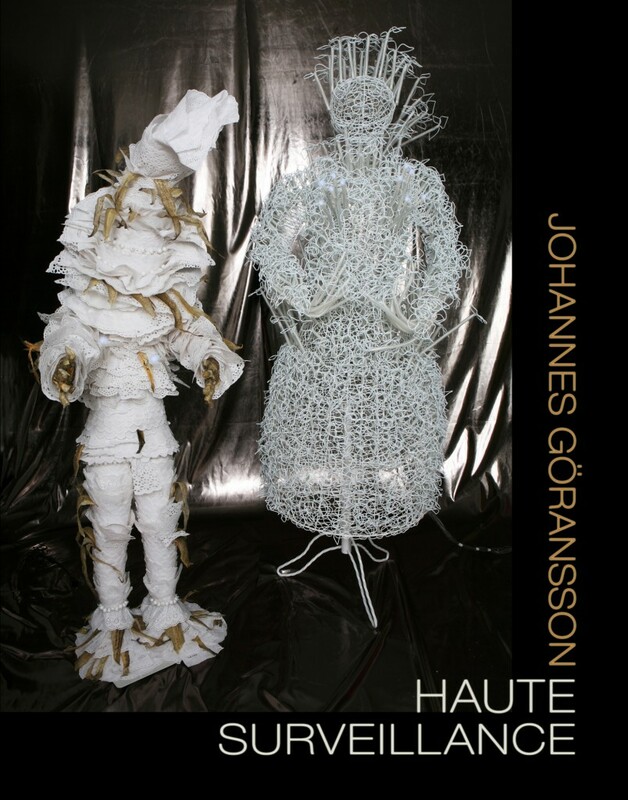 Johannes Göransson’s Haute Surveillance is a textual representation of the horrific and luminous spectacle of a post-modern condition defined by unavoidable participation in (and often a voluntary surrender to) a global war economy. The multi-genre work (a novel in dialogue with prose poetry and punctuated by epistolary and dramatic interludes) embodies a term coined in its own narrative, “atrocity kitsch,” inhabiting bathtubs, war prisons, and a Shining Mansion on the Hill (a dream-like conflation of the White House and the hotel from Stanley Kubrick’s The Shining). What makes Haute Surveillance disturbing while ultimately familiar is that such conflations don’t necessarily come across as products of the author’s, or even the narrator’s, twisted imagination, but as products of culture. Doesn’t the office of the Presidency occupy a space in our cultural imagination somewhere between an ideologically and physically oppressive brute force and an institution of ineffectual celebrity perpetuated by its own mythos? 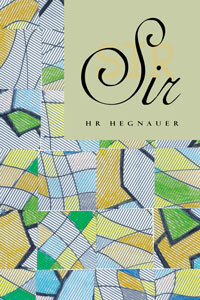 This is an American and post-modern novel because American post-modernity is the only existing site where a female soldier, stationed at a war prison, who gleefully photographs horrific, torturous acts and brutalized bodies, can occupy the same imaginary and publicized space as a Hollywood “starlet.” And Haute characterizes her as such. Unspeakable acts are glamourized in Haute because such acts are so unspeakable in our culture that the cloaks we use to cover them have become both specialized and bedazzled; our ability to look away has developed its own technology. We are constantly threatened with and by surveillance and yet are unwilling to turn our gaze onto and against the looming, big bad spectator. Haute Surveillance, like us, is much more willing to costume horror in a thick, nihilistic sheen. In honor of the Jack Kerouc School’s 40th anniversary, Bombay Gin feels it’s necessary to share even more content related to the school, its founders and its alumni. This particular recording contains Anselm Hollo’s poignant rendition of his poetry from his collection, Guests of Space (Coffee House Press 2007), followed by other esteemed writers like Harryette Mullen, Eleni Sikelianos, and Renee Gladman. At the JKS conference in October we had the privilege of listening to Jane Dalrymple-Hollo read from Hollo’s work making his voice a staple of the conference and the Jack Kerouac School even after his passing. Also within this file is the subtly striking voice of Reed Bye who fits snugly between the cynically terse Hollo, the delicious language of Gladman, Event Factory (Dorothy 2010), and the beautiful poetic deliveries of Mullen and Sikelianos. While Harryette Mullen didn’t read from Hollo’s work, her latest Urban Tumbleweed: Notes from a Tanka Diary (Graywolf Press 2013) continues to exemplify her craft. Eleni continues to publish and experiment with her latest You Animal Machine (The Golden Greek) (Coffee House Press 2014), a memoir. What: Bombay Gin 41 Reading and Fundraising Extravaganza! Bombay Gin is pleased to announce an evening of reading and fundraising that is not to be missed. The festivities begin at 7pm on Thursday, November 13th with a reading featuring Boulder Tribe poet Jonathan Montgomery, Sacramento poet Ike Torres, and an open mic. 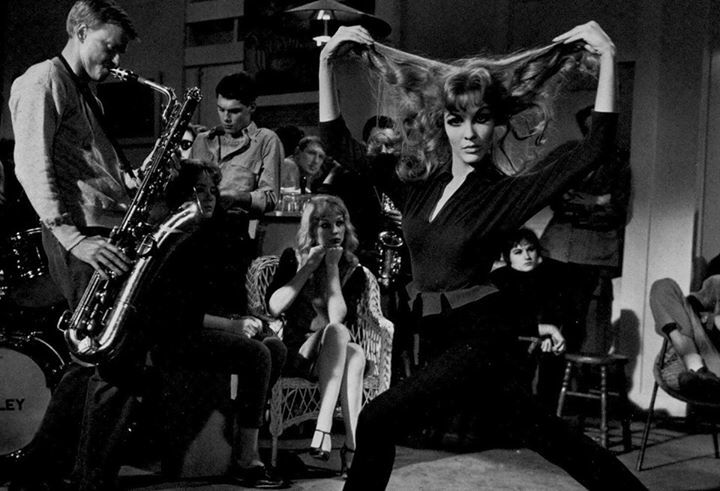 Then at 9pm, the party gets started in the name of raising money to support the thriving of Bombay Gin. Refreshments will be served, conversations will be had, and most importantly, prizes will be won! You do not need to attend in order to participate in the auction. Just email your maximum bid for any of the above to bgin@naropa.edu by 10 pm Wednesday, November 12 in order to be included in the bidding. Be sure to include what item you’re bidding on and your contact information! We will also have a raffle with prizes from City Lights, Les Figues Press, Counterpath, Factory Hollow Press, Boulder Book Store, Innisfree, Buchanan’s, and Cinemark. The more tickets you buy, the better your odds, so bring cash! (Unfortunately, raffle participation is only for those lucky folks who can make it to the party). More prizes and auction items continue to roll in, so check back regularly for the latest information. 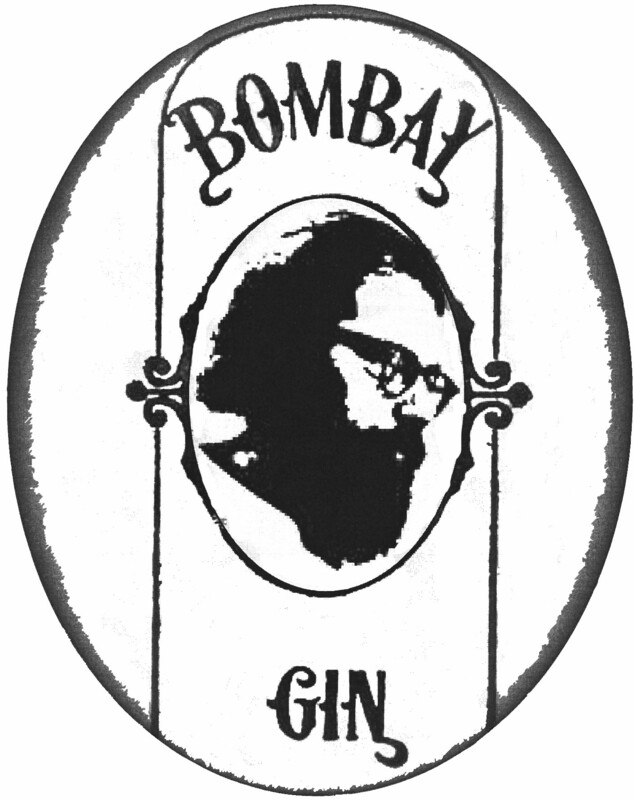 Can’t wait to celebrate Bombay Gin with you all! As you open the Cover to How Phenomena Appear to Unfold, take your time. Observe the pheasant, hanging as though being let of blood. Observe the peacocks witnessing the butchering process. (Let this say something to you about art and writing before reading a single word inside the cover.) OKAY. NOW. Proceed to the table of contents, skip over the praise from big-wigs. Form your own opinions. Look over the headings, but don’t think too hard about them. Pick a place to begin or not to begin, but be sure to start with the first word. Maybe flip back to the author’s headshot so you can see her beautiful smiling face and get a sense of her happiness at your happiness (hopefully you are happy as you read this book—MAKE A CONSCIOUS DECSION TO BE HAPPY). 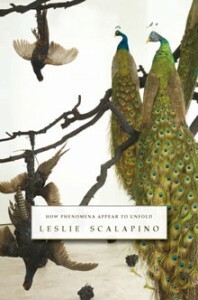 This book is about phenomena, discovery, alteration. Find yourself within the pages. Read an essay and make that home. Read a play and make that home too. Occupy each bubble of words like it was your last breath, and notice how this phenomena makes your body feel. When you get to the art, imagine yourself in the image. You could read nothing but the images, or read them first or read them last. As reader, you are collaborator. Between each new page, concept, essay, orwhathaveyou, take a break. Allow the information to stick in your short-term memory. Sleep on it if it helps. Literally, under your pillow. This is about you. You’ll want to remember as much of this as possible. This is the ‘Division of Fact and Experience’, ‘to reinstate (restate) experiencing in space, the mind/eye making estimations/approximations as concepts that are the same as being in space:” let the reading takeover your mind, let your mind take over your body. 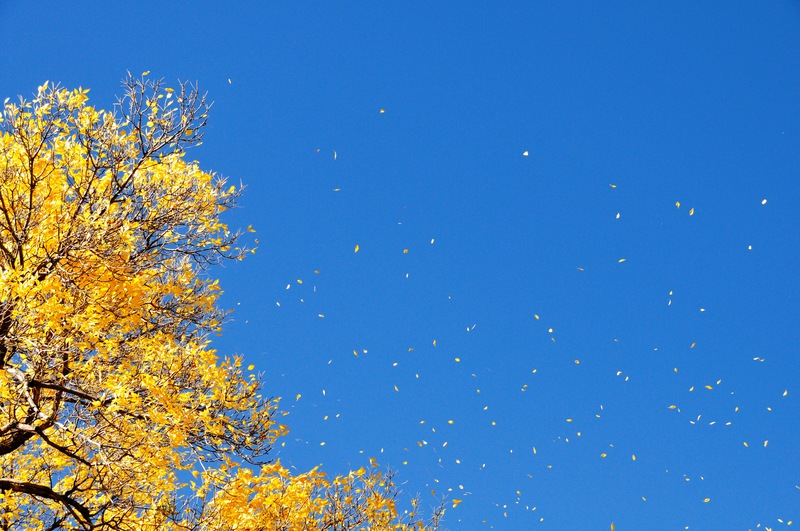 How does this phenomena make you feel? MAKE A CONSCIOUS DECISION TO BE HAPPY. Is this a “relational state”? Consider how you abstracted, abducted or absconded this book. This is phenomena, too and if you know anything about coincidence, is it coincidence that I should be writing this and you should be reading it? Turn to page 66. Read the little paragraph beginning, “The actual” this is my message to you, the reader, from me, the reviewer. Why? Because this book is not fiction or news. BUT the ideas are NEW. Enough.